I know it is late, and I am about to go to bed, but I wanted to post this freebie that took my 30 minutes to write and 7 hours to complete (bless the children). 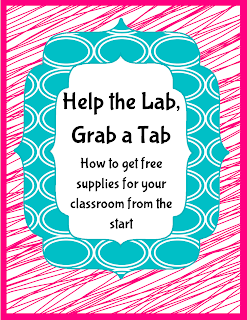 This is a tip on how to get parents to help supply your classroom from the start. We do this in the science lab every year, and even do it again once we have Open House later in the year. Just make sure you give the kids some type of reward for bringing in extra supplies. We have a ticket system at our school, so each item brought in is worth 1 ticket. Click the picture to get the how to.